Reporting: This position reports to the Production Manager and in their absence the Production Director. 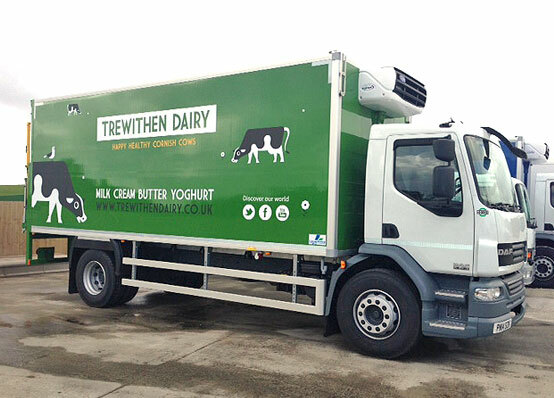 Trewithen Dairy is currently the largest bottler of the precious white stuff and also producing some of Cornwalls finest clotted cream. Over the last 10 year the company has grown considerably and is about to embark on the next exciting phase of growth. An exciting position has arisen within the Despatch department for a full-time Despatch Shift Manager. Being a team player with a can-do attitude, you will work alongside our existing Production Shift Managers ensuring all the daily needs are met in producing the daily plan for the site. Being a specialist in your field you will use the experience built up to help shape the Despatch Department for the next phase of company growth. In return for the right candidate, an exciting career opportunity lies ahead with training and growth opportunities expanding into different areas of the site as the company continues to grow. Lead Despatch teams so they are operating at optimum performance and effectiveness. Deliver against agreed health and safety, productivity, labour, efficiency, GMP audits, quality and team management target. Maintain financial controls, in particular workforce costs and additional costs associated with mispicks etc. Support the Engineering department to ensure production operation runs smoothly and efficiently at all times and assist in improvement projects. Support and challenge the planning team so it can operate at optimum performance and effectiveness. Ensure that the Despatch Team are provided with effective leadership and guidance to fulfil their duties. Create and maintain a culture of discipline throughout the teams.